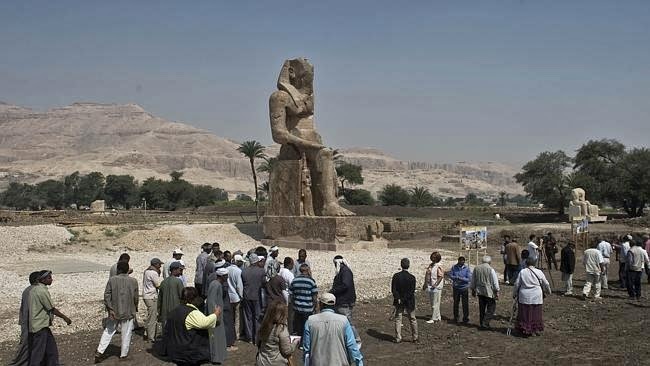 ARCHAEOLOGISTS have unveiled two colossal statues of Pharaoh Amenhotep III in Egypt's famed temple city of Luxor, adding to an existing pair of world-renowned tourist attractions. 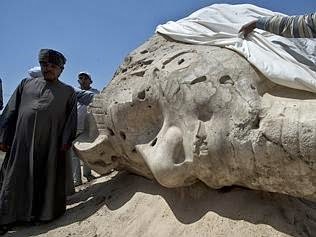 “The world until now knew two Memnon colossi, but from today it will know four colossi of Amenhotep III,” said German-Armenian archaeologist Hourig Sourouzian, who heads the project to conserve the Amenhotep III temple. The two restored additions have weathered severe damage for centuries, Ms Sourouzian said. 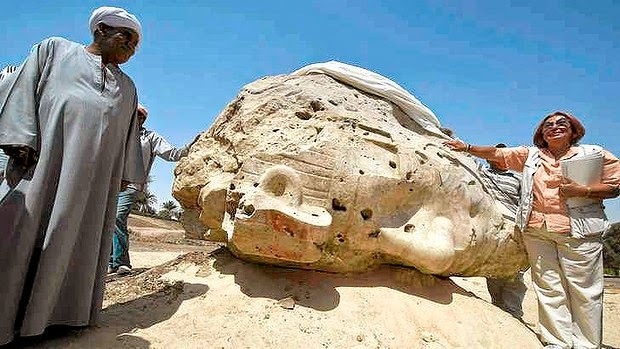 One of the “new” statues — its body weighing 250 tonnes — again depicts the pharaoh seated, hands resting on his knees.